What happens to the 590 pounds of illegally caught red snapper? 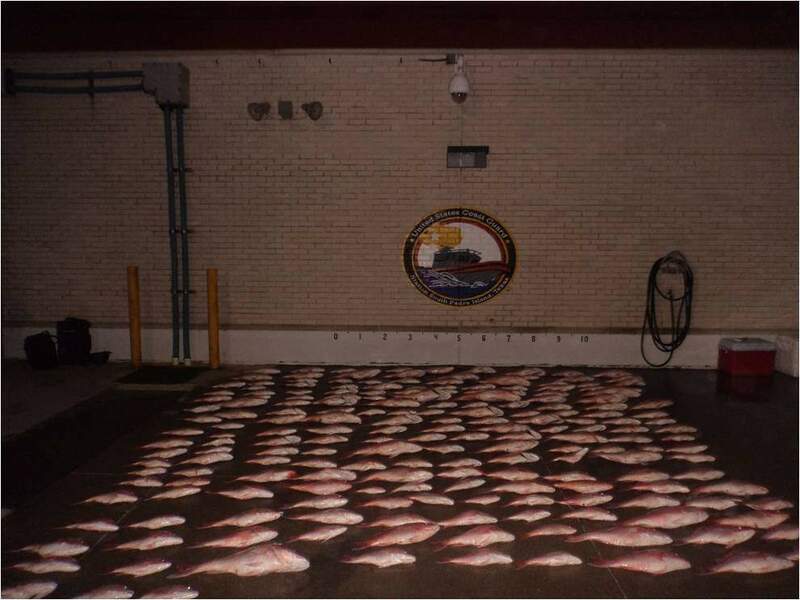 MOBILE, Alabama – Illegal poaching of fish by Mexican crews in U.S. water off Texas’ southern coast is an ongoing problem resulting in the waste of tens of thousands of pounds of commercially and recreationally important species such as red snapper and shark. In the latest case alone this week, U.S. Coast Guard personnel intercepted a Mexican fishing boat, known as a lancha, with a crew of four and found 590 pounds of red snapper onboard in violation of permit requirements mandated under the Magnuson-Stevens Act. Another lancha safely made it back into Mexican water before it could be stopped, according to a Coast Guard news release. Even though those fish were dead and on ice when they were found, Coast Guard Sector Corpus Christi Public Affairs Officer Lt. Shelly Brown said it is agency policy to release the fish to the sea. Brown said there have been preliminary discussions to change that policy so the fish may be donated to charity, but as long as questions remain surrounding whether confiscated fish can be safely eaten, current policy will likely remain in effect. 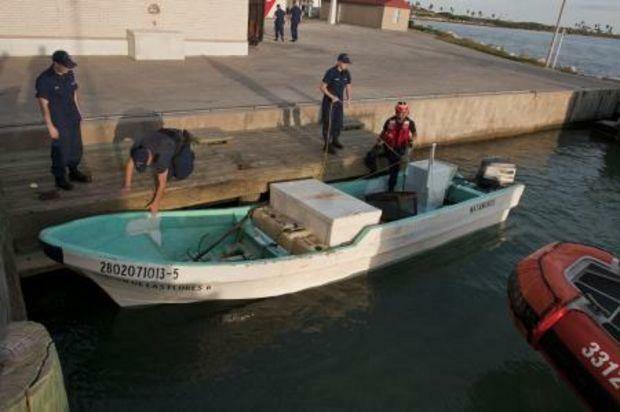 A review of the Coast Guard news site www.uscgnews.com reveals several other incidents where Coast Guard Sector Corpus Christi personnel caught Mexican poachers and or found their fishing gear. In just once week in August, more than 300 red snapper weighing more than 1,000 pounds and 300 shark totaling more than 3,000 pounds were confiscated. More than 17 miles of the long-line fishing gear used by the poachers was also confiscated. This gear type deploys a baited hook about every 5 feet along the line’s entire length. The Coast Guard reported that 75 percent of the 500 fish found on this line, including red snapper and shark, were released alive. In several of these cases, the Coast Guard notes that with daily red snapper bag limits in the Gulf of Mexico set at only two fish per person, the illegal poaching activity represents hundreds of daily limits and takes away recreational fishing opportunity from legal fishermen. Since Oct. 1, the Coast Guard reports spotting 41 lanchas suspected of illegally fishing in U.S. water. There is no way to know the value of the thousands of pounds of fish taken from Gulf waters in those cases since the Coast Guard was able to catch only five of those crews. Brown said in many cases the Mexican crews spot Coast Guard aircraft and are fishing close enough to Mexican waters to be able to run back into them before they can be caught at sea. When crews are apprehended, most of the illegal fishermen are turned over to Customs and Border Patrol agents, Brown said. Coast Guard news releases also indicate that in a few cases, the accused are immediately repatriated to Mexico. Brown was not familiar with Customs and Border Patrol policy when dealing with the illegal fishermen. Attempts to reach those agencies were unsuccessful Tuesday morning. In a similar incident reported in June, a crew of four was found with 450 illegally caught red snapper in the same general area as the lancha that was intercepted this week. A Coast Guard representative was quoted then as saying that the maximum civil penalty in this violation of the Magnuson-Stevens Act would be in the neighborhood of $140,000.